Once again, the news is not pleasant for you lovers of soft drinks. Soda lovers now have to be extra vigilant because the chemicals contained in caramel coloring materials commonly used in soft drinks is thought to cause cancer. Section, Center for Science for the Public Interest (CSPI), the food product supervision agency based in Washington, said that the color of chocolate caramel in soft drinks that circulate in the community can cause cancer. CSPI does argue that color contains chemicals that cause cancer, carcinogenic. Caramel brown color that is used is made from sugar of maize with the reaction between ammonia and sulfide in high pressure and high temperature. The reaction produces two chemicals, such as 2-metilimidazol and 4 metilimidazol. "These chemicals are formed in very small amounts, but have a very significant impact," said Michael Jacobson, CSPI's director Exsecutive, as reported by TIME page. A study conducted in 2007 by the national program of Toxilogy found evidence of activity carcinogen happened to 2 to 4 metilimidazol methylimidazole in rat male and female, and increase the formation of the seeds of cancer. In humans, these two chemicals can cause leukemia, lung cancer, liver cancer, and thyroid cancer. However, the American Beverage Association said the research that has not been able to prove that the tumors that occur in mice can occur also in the human body. "Maybe people have to drink 1,000 bottles of soda per day to get the same effect as the experimental mice," said Fred Gurengerich, a biology and chemistry researchers from Vanderbilt University. 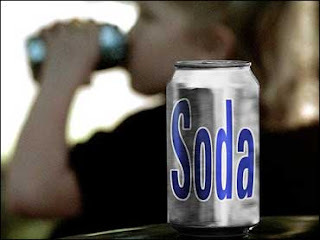 This group also filed a petition to the Board of Supervisors Food and Drug Administration United States on the Prohibition of the use of ammonia caramel that contains a lot of other soft drinks used in the dark. On the other hand, Coca-Cola Co, the biggest producer of soft drinks in the world, as stated in the product ingredients, caramel does not cause cancer. He said that she is drinking soda production consists of only one substance, which was endorsed by CSPI. Meanwhile, Pepsi Co drinks more comments. 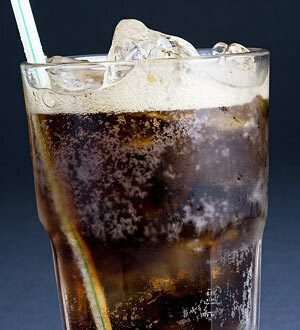 Until now, the soda is still a major cause of health problems in the world of obesity. chemical reaction between sugar and ammonia to form a carcinogen and can cause thousands of Americans affected by cancer, "said the group was based on animal studies conducted by researchers at the National Institutes of Health Toxicology Program. CSPI Executive Director Michael Jacobson also stated that the proper use of 'caramel coloring' term or caramel coloring in a product is not justified.